Are you a pair of lovebirds waiting to swoon over an ultimately romantic wedding venue? If so, you’re in the right place! We’ve dug through our extensive list of venues and picked out some of the most romantic settings of all time where you can tie the knot. And remember, these are only a few of Bridebook.co.uk’s incredible venues, so if none of these is the one for you, simply start a Wedding Venue Search and click ‘romantic’ in the filters. Good luck! 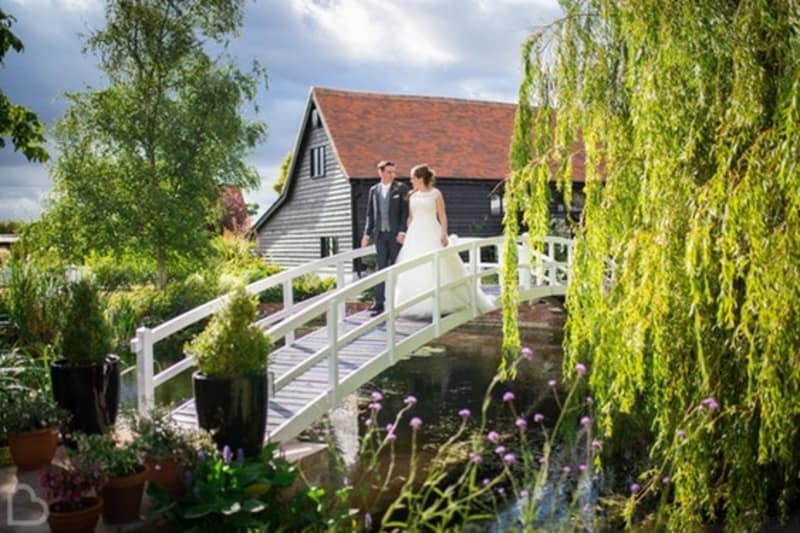 Dating back to 1750 and having been lovingly restored, High House‘s red brick barn boasts exposed oak beams and a nearby luxurious Bride’s Cottage – not to mention the Monet-inspired bridge over the pond and lush English country gardens. 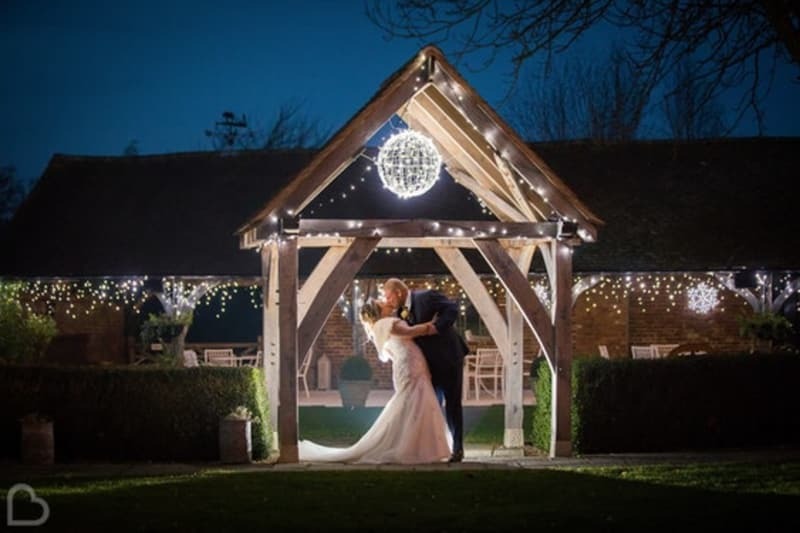 You won’t find a more romantic setting anywhere else in the Essex countryside! The Grade II listed house and surrounding gardens of Chippenham Park are what dreams are made of! Say your vows in front of the castle-like structure, or beside the lake for a waterside ceremony. Then sip bubbly while you stroll the extensive gardens – so romantic! Did your partner propose on the beach? If so, you may be fantasizing about an intimate beach wedding! 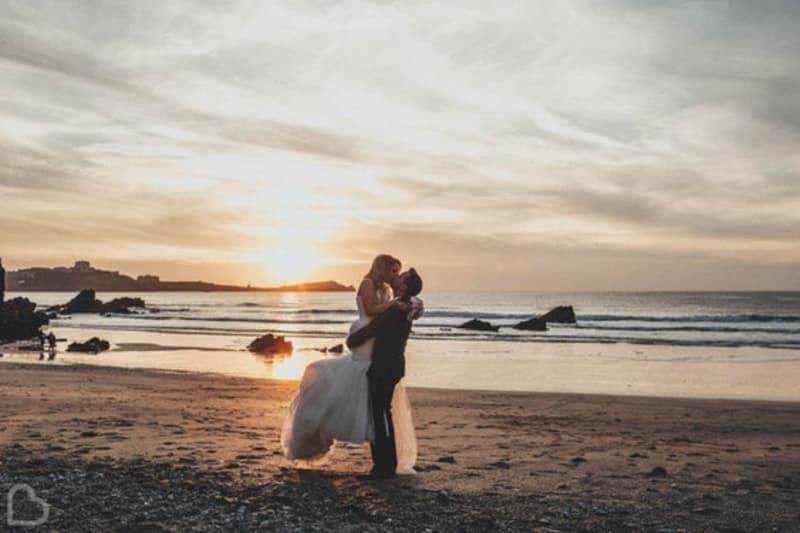 Lusty Glaze Beach combines golden sand and an indoor cove looking out over gorgeous Cornish views, so you can plan your idyllic barefoot ceremony on the shore. Explore the UK’s best beach wedding venues here! This dramatic Victorian villa from 1901 not only has splendid views over Bournemouth from the cliff-top, but also houses a great collection of British art that has taken years to gather. The fantasy-filled Russell-Cotes Art Gallery & Museum is brimming with lavish character for a dreamy wedding day. 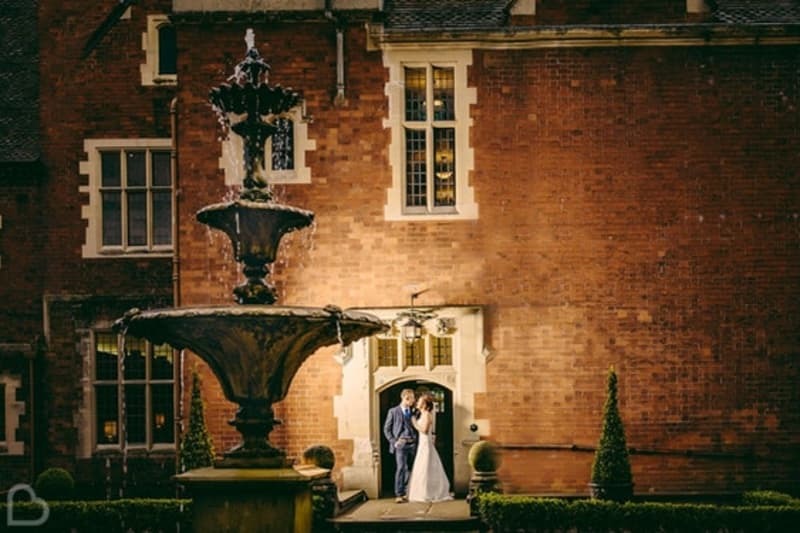 Old Court Chapel Weddings has a lot to offer a pair of lovebirds! 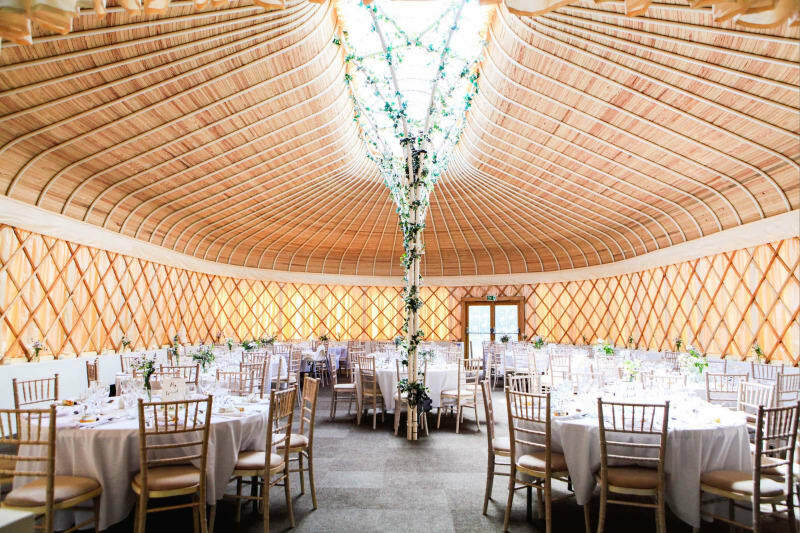 The 19th Century chapel structure is just a short walk from the local church, and also has a glorious yurt-inspired marquee attached! Add restored stables and natural gardens into the mix, and you’re onto a winner with this romantic Northern Irish setting! 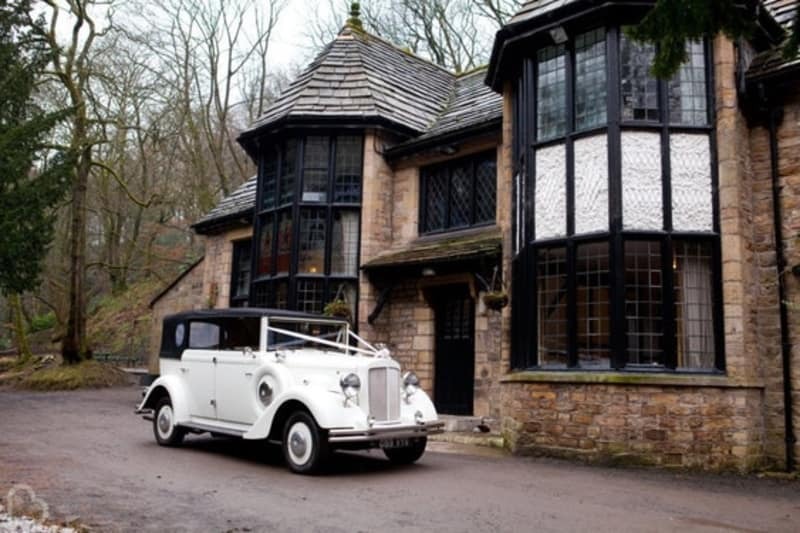 It’s without a doubt one of the most romantic wedding venues in the UK! Aside from the grand house of Cambo Estate, this venue hides something incredible. 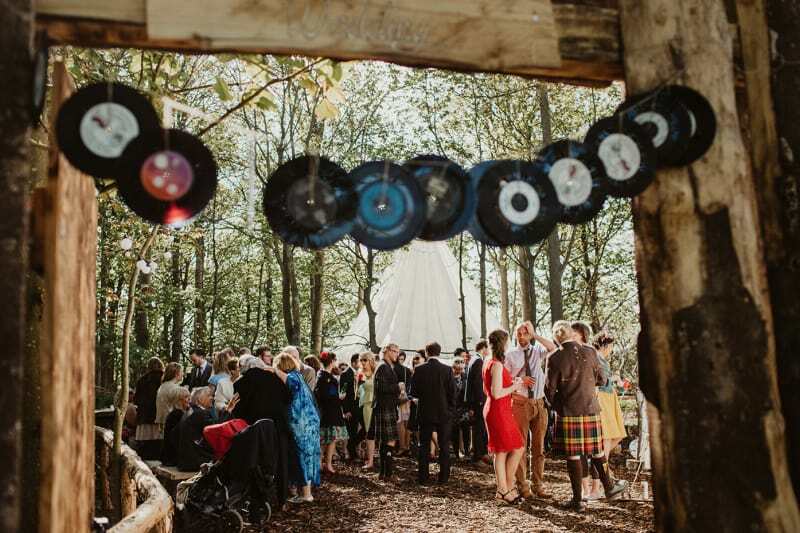 Explore deeper into the grounds and find the super romantic woodland retreat, where you can set up your perfect day in the forest! The nearby tattie barn will add a touch of rustic to this magical setting. Birmingham Botanical Gardens are the epitome of romance! 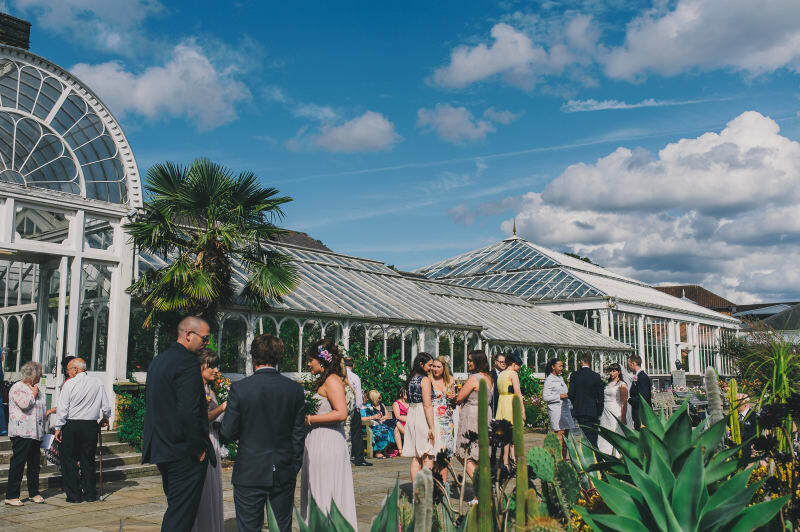 Boasting three event suites and a glorious outdoor backdrop for drinks and canapes, this venue has created the ultimate ‘Love Birds Package’ for any special botany-loving couples! The wondrous Gileston Manor is a Georgian House with nearby Mughal Marquee set in a glorious landscape of lush lawns. 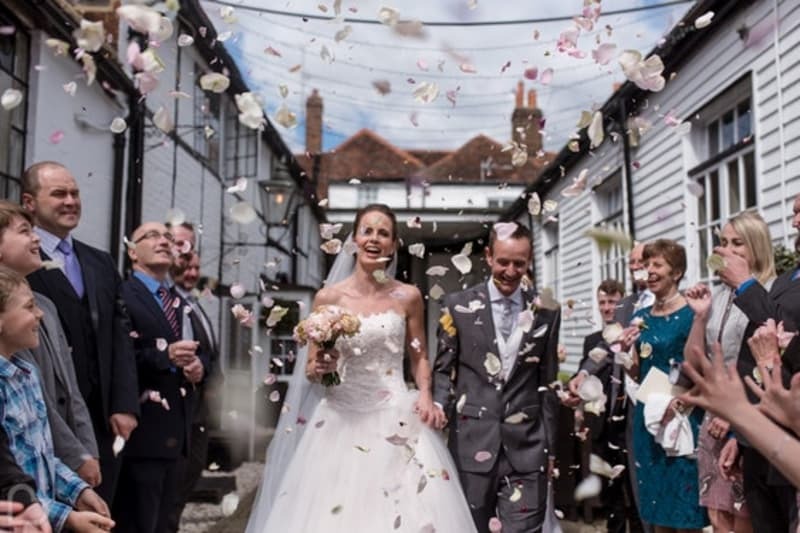 It hides it’s own intimate church, gorgeous Secret Garden Room and the charming Cheese House – so many romantic settings to explore once you’ve tied the knot! Among 6 acres of lush gardens is the exclusive use venue Pendrell Hall. It has plenty of exterior Victorian character and a mixture of classic features with some contemporary decor inside – meaning every room is stunning and can suit any romantic theme! The romantically-lit Coach House at Marks Hall Estate plays host to exposed brick, iron chandeliers and original wooden frames. Dating back to the 18th Century, this arboretum venue is as rustic as it is romantic – you’ll be sure to get amazing wedding photos here! Olde England Kiosk is a unique setting that your guests will swoon over as soon as they arrive. This Tudor-style woodland retreat emphasises a traditional theme while oozing idyllic romance. 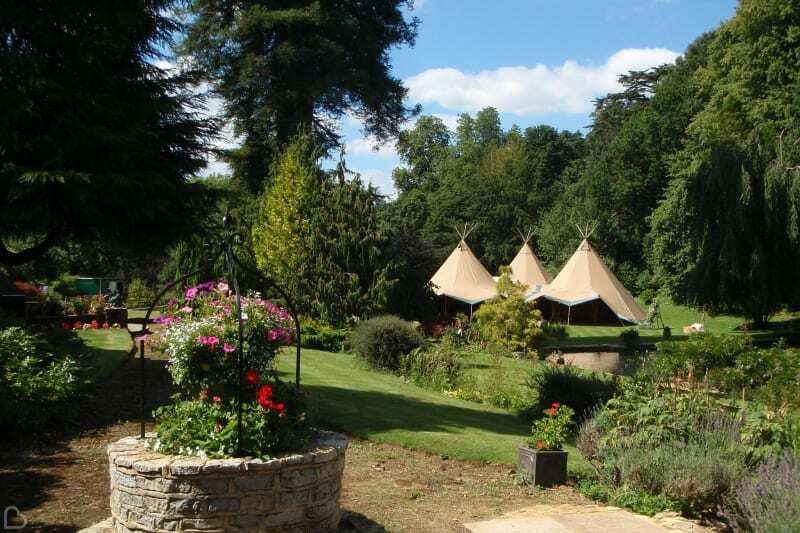 Get lost in the grounds of this charming wedding venue with your loved one! 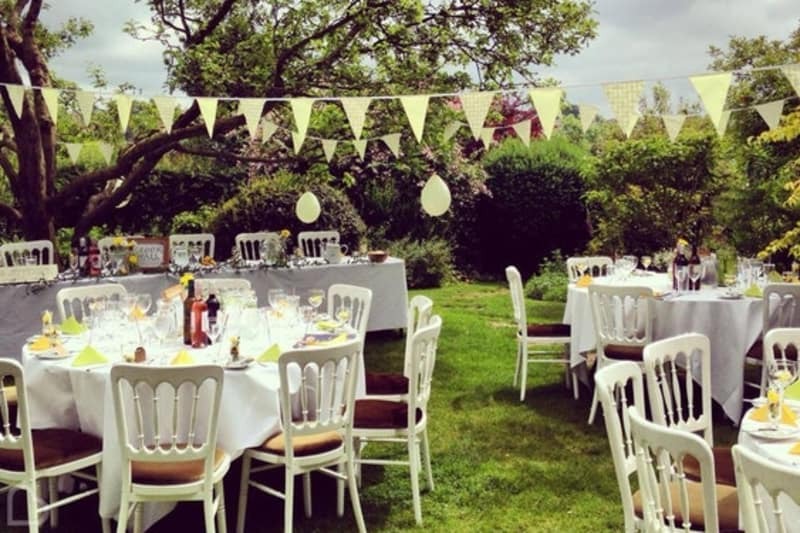 If you’re dreaming about a quaint English garden afternoon tea affair, Crook Hall is the venue. 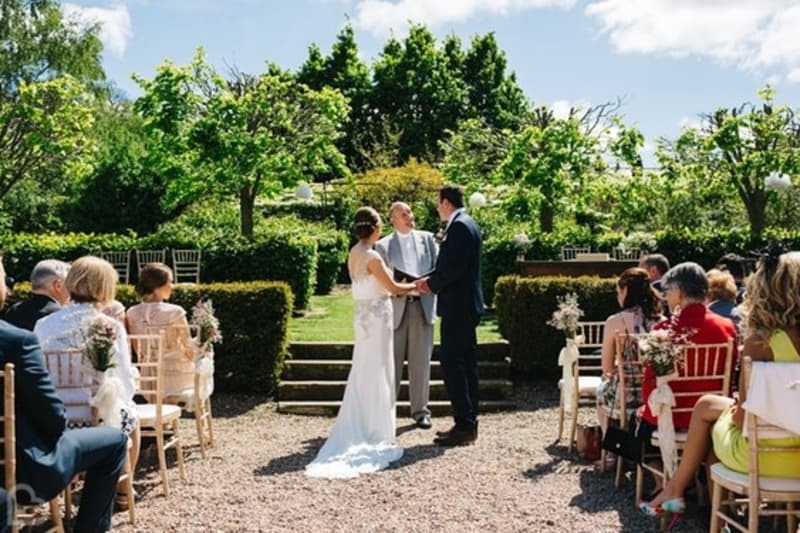 Beautiful gardens will surround you as you sip on bubbly and enjoy your special day – but of course if the British weather gets in the way, you can also have exclusive use of the historic Medieval hall. 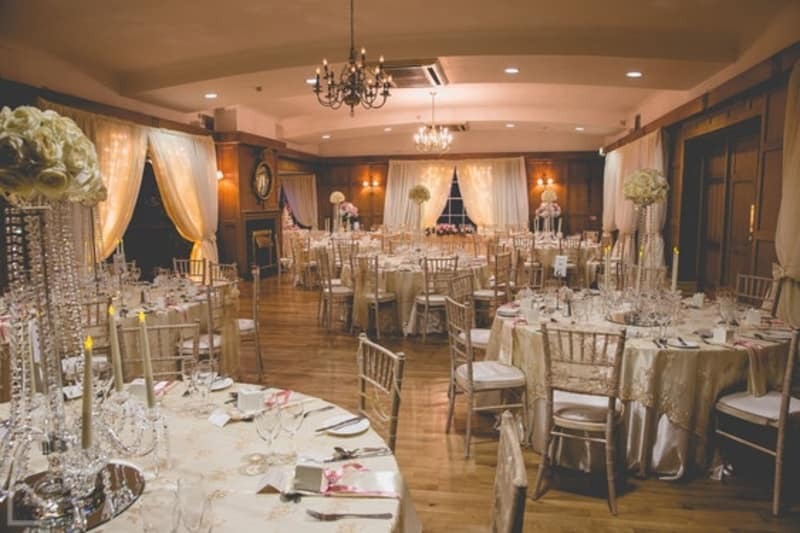 The professional staff here at Dunadry Hotel & Country Club have over 40 years of wedding experience – not to mention the most dreamy of venues to help sway you! Wood-panelled rooms and cosy interiors invite you inside, where you’ll find a whole world of romance in one place. If you’ve ever been to Brighton, you’ll surely have seen the Indian architecture of The Royal Pavilion. What’s inside is even more spectacular though, as this Regency Palace houses extravagant Chinese-inspired interiors and grand splendour dating back to 1823. Let this dreamy wedding venue completely sweep you off your feet! 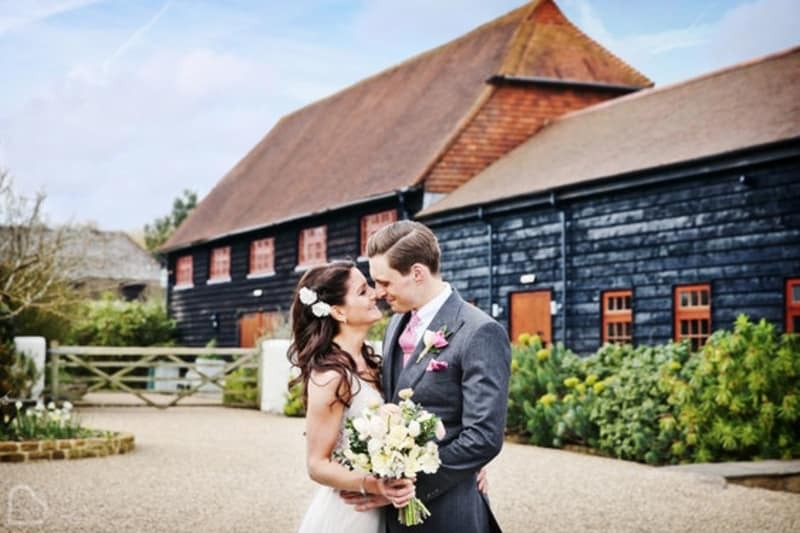 Winters Barns boasts two fabulous L-shaped barns that can each be easily transformed into ceremony and reception venues in the one building. Set in the outstanding backdrop of the Kent countryside, this is the place to be if you’re looking for a little bit of secluded luxury with your partner to be. The Georgian stately home of Pencarrow stands in Cornish countryside with panoramic landscape views. This uniquely restored setting offers a dramatic comparison to the traditional look of Pencarrow House, with stunning gardens adjoining. Enjoy the best of both worlds at this romantic venue! Irish charm Larchfield Estate is one of a kind for an utterly romantic day! 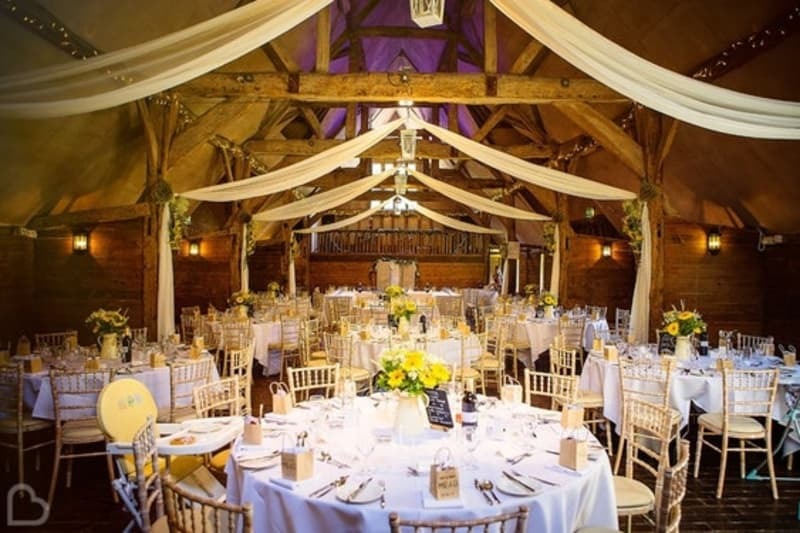 A 19th Century Barn, Orangery and Stables are possibilities for your big day, along with jaw-dropping Walled Gardens. You might have trouble deciding on the most romantic ceremony setting here! Howsham Hall offers incredible historic features and luxurious decor within the Grade I listed Jacobean building. 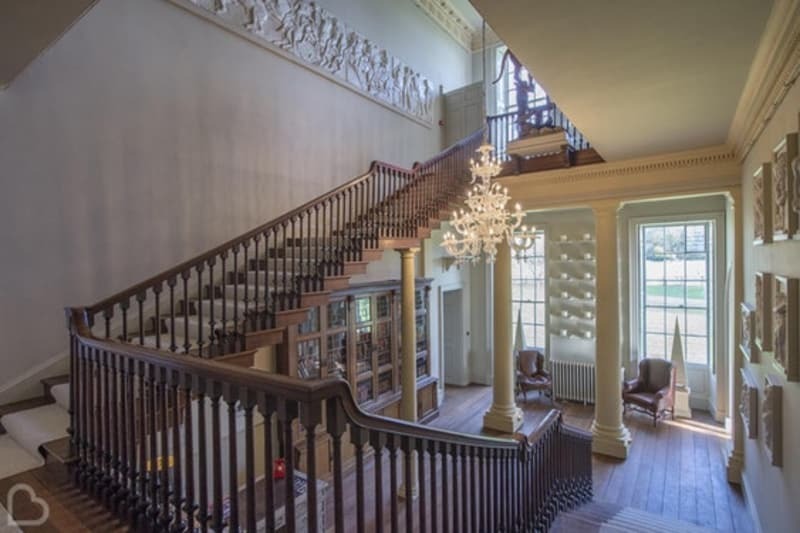 This private home will become yours for the weekend, where you can have super romantic photos near the dramatic staircase! Nestled in the hills of Surrey is Gate Street Barn, a structure erected from oak trees that were lost to a hurricane. The Granary’s woodburning stove and picturesque views of the working farm will totally sweep you off your feet in this romantic setting. 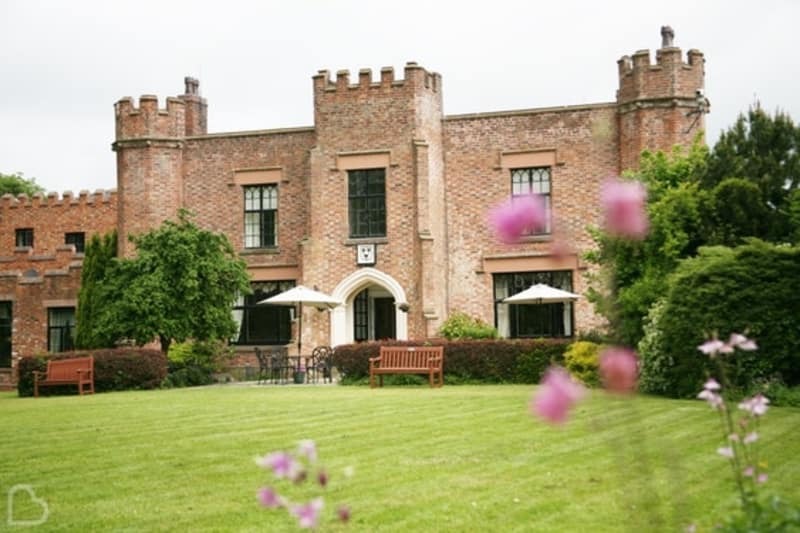 Crabwall Manor Hotel & Spa is a Cheshire gem with a romantic castle-like exterior. 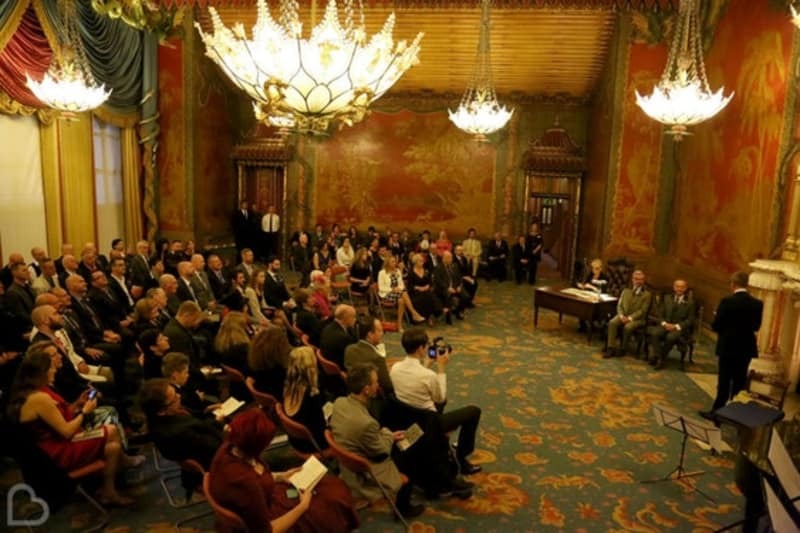 With history going back as far as the 11th Century, the versatile function spaces within the venue help you to feel like a Prince or Princess for one day only! The family-run country house of Blakelands allows you to completely design your romantic day from scratch. On-site, there is a fishing lake and 15 uniquely-designed rooms that add not only a spin of class but also a totally personal touch. 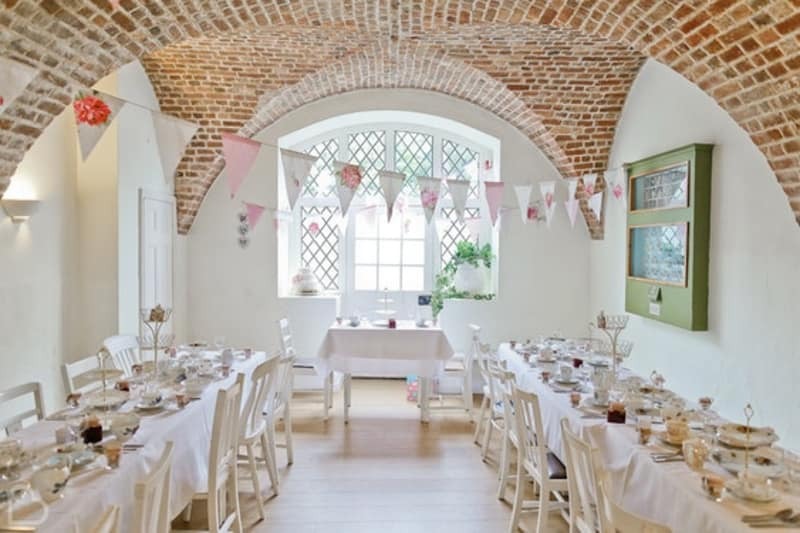 A great DIY venue with little restrictions, which means you and your partner can turn it into one of the most charming wedding venues in the UK! 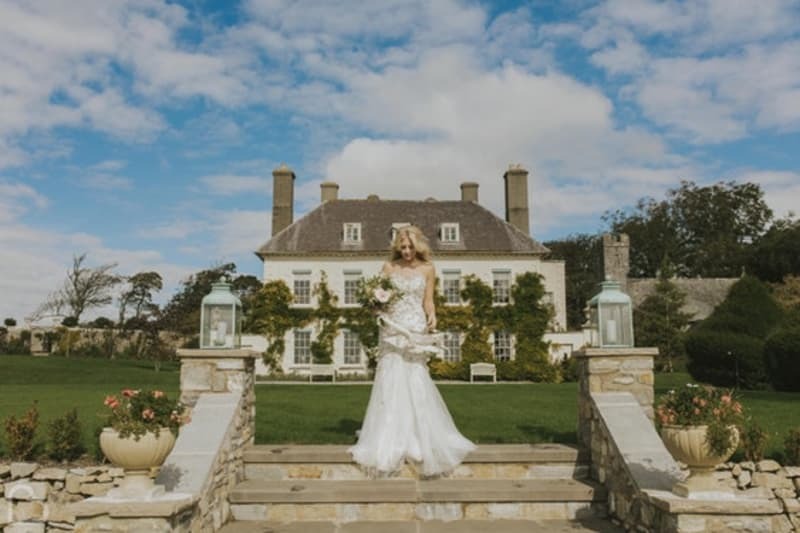 Pennard House is a dreamy location full to the brim with magical gardens, woodlands and interiors oozing romance. 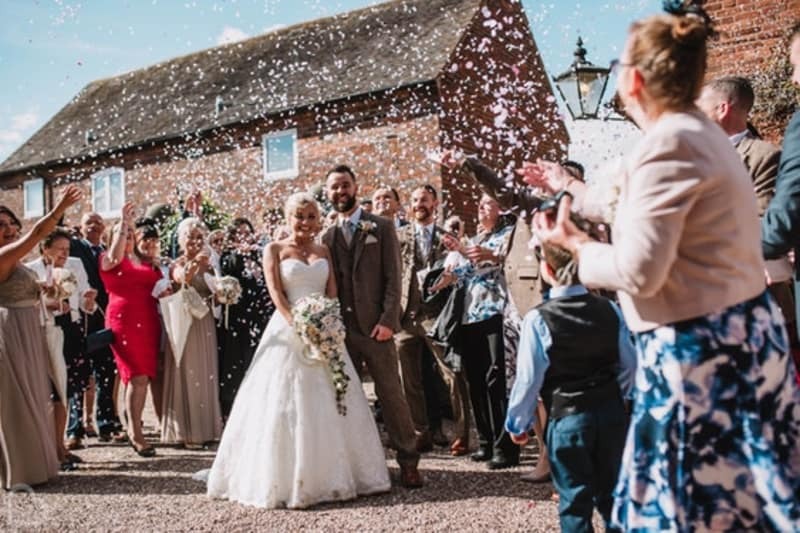 Across the lawn sits the 14th Century village church, so if you’ve got your heart set on a church wedding followed by a quaint reception – this is the place! This recently renovated historic coaching inn is The Talbot. The new contemporary look offers the ultimate romantic backdrop, where exposed beams are weaved with elegant fairy lights. 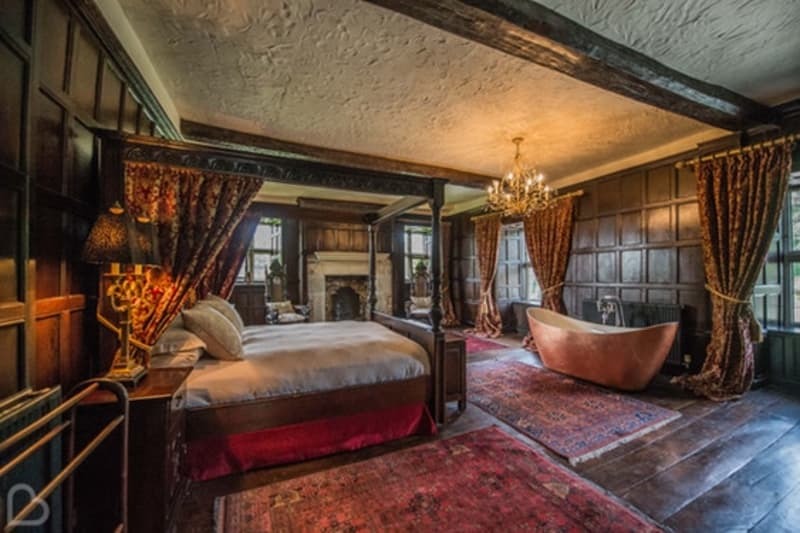 It still retains original features though, including cosy fireplaces and traditional entrance gates. It’s a charming wedding venue! 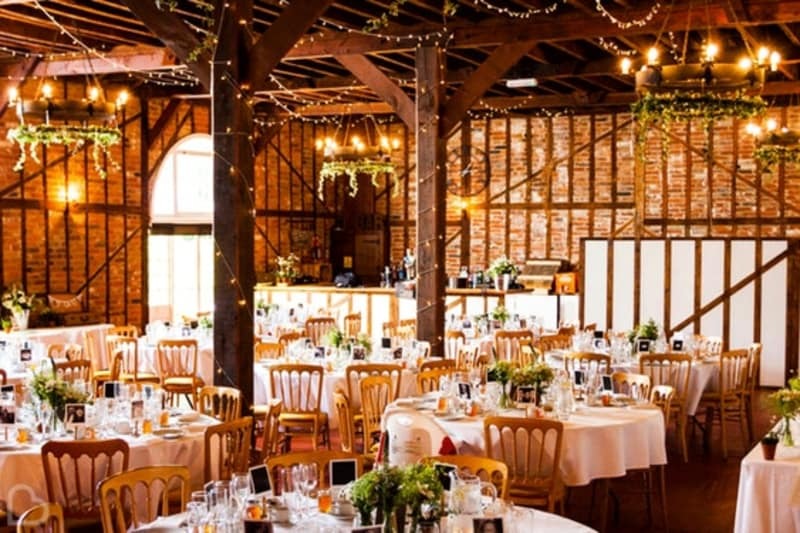 Lains Barn boasts a majestic celebration area in the main barn, where sweeping decorations from the exposed wood can make this space into a rustic yet romantic venue. The barn doors open up onto the courtyard, where you can have an al fresco experience on the lawns. 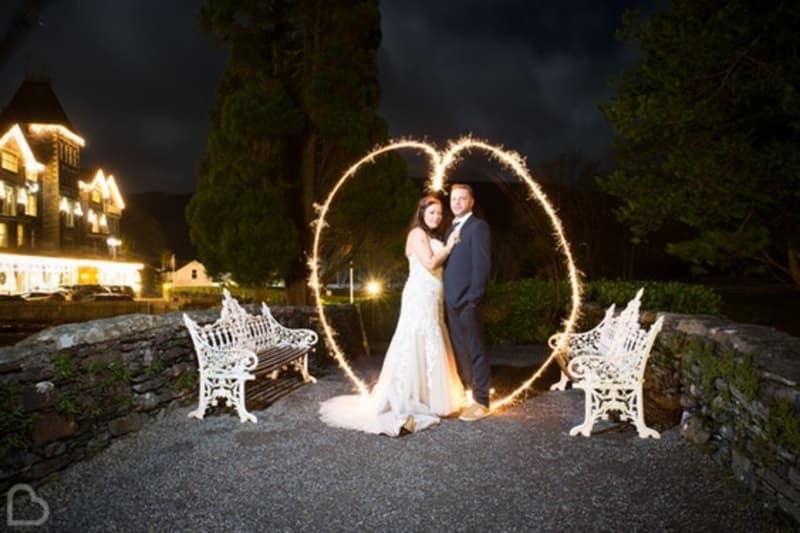 Talhenbont Hall is a wonderfully romantic wedding setting with a boudoir to match! The Bridal Suite is furnished exquisitely, so you can feel like royalty with a four poster bed – and therefore have the wedding night of your life at this private country estate. 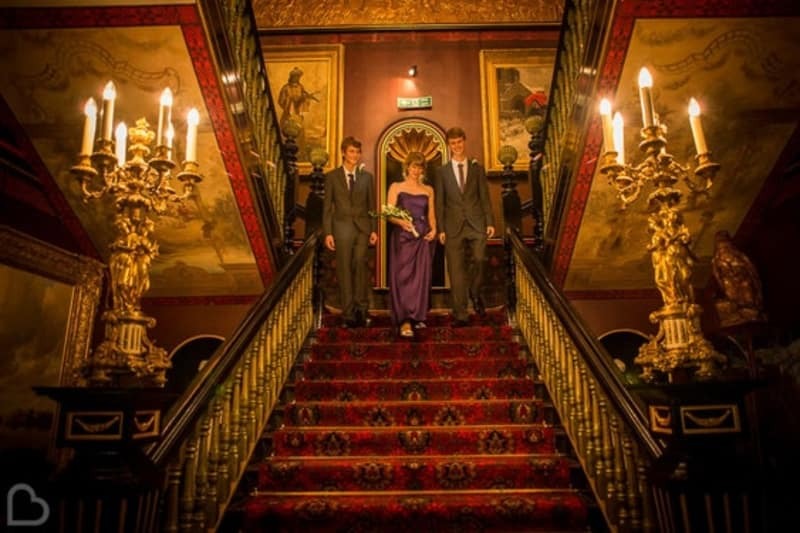 The Lodore Falls Hotel is one of Cumbria’s finest venues with stunning natural backdrops. Named after the Lodore Waterfalls, it offers lake views and, of course, the most incredible photo opportunities you could ever hope for! 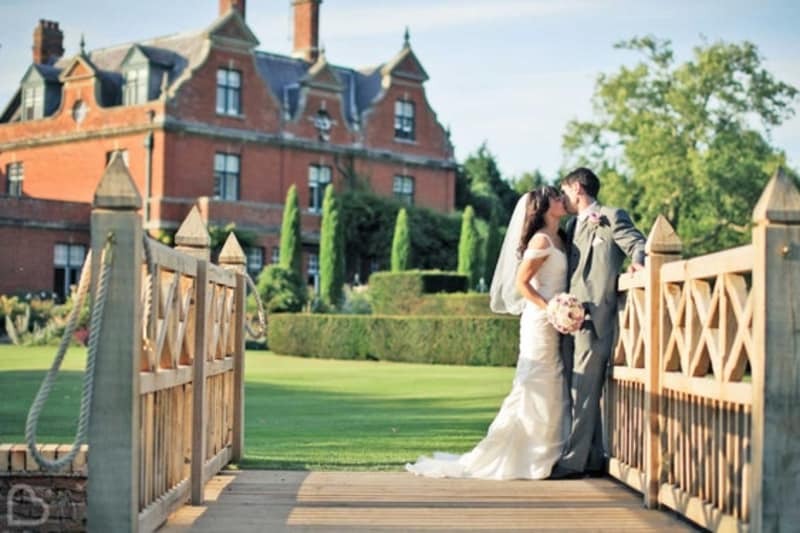 This is Busbridge Lakes- an exclusive family run marquee wedding venue in Surrey. Set in the grounds of a beautiful garden with 3 lakes, uniquely hidden in its own private valley. How romantic is this? We love it. Another fairytale venue for romantic couples is Eastwood Park. 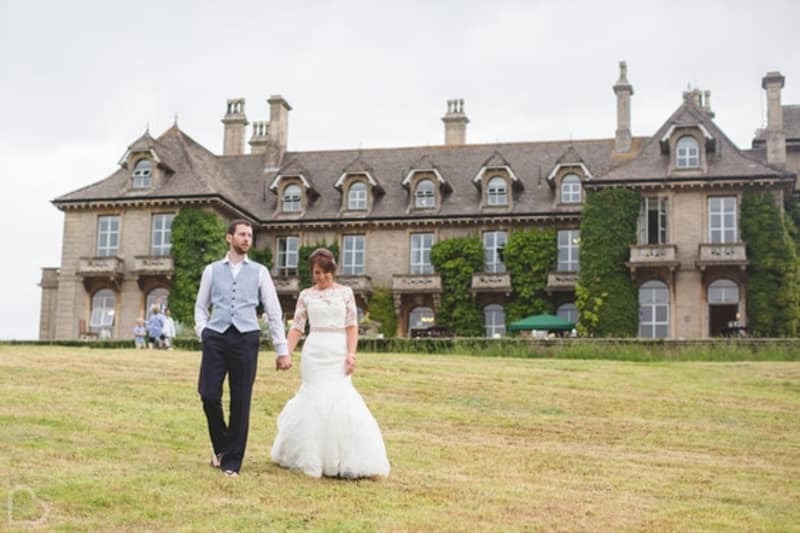 In 200 acres of meadows and gorgeous landscapes, this 18th Century charm has a choice of flexible function spaces where you can play out your ideal romantic day the way you’ve always wanted. It’s a dreamy wedding venue, perfect to celebrate your love! Your romantic wedding venue search is not complete until you’ve seen Askham Hall. 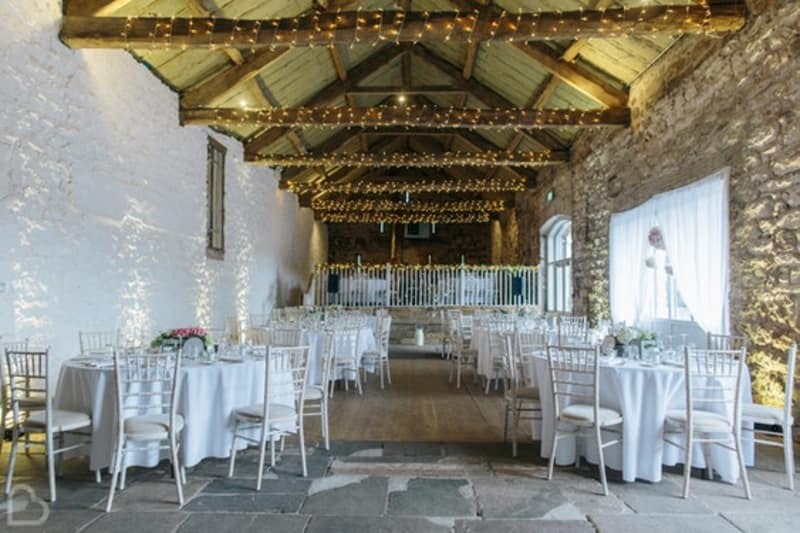 Rustic oak ceilings and gorgeous exposed stone walls are on the menu at this stunning setting, along with a touch of contemporary decor and romantic lighting. Sweet! Stanton Manor House boasts an idyllic orchard, rose gardens and a 12th Century church close by! 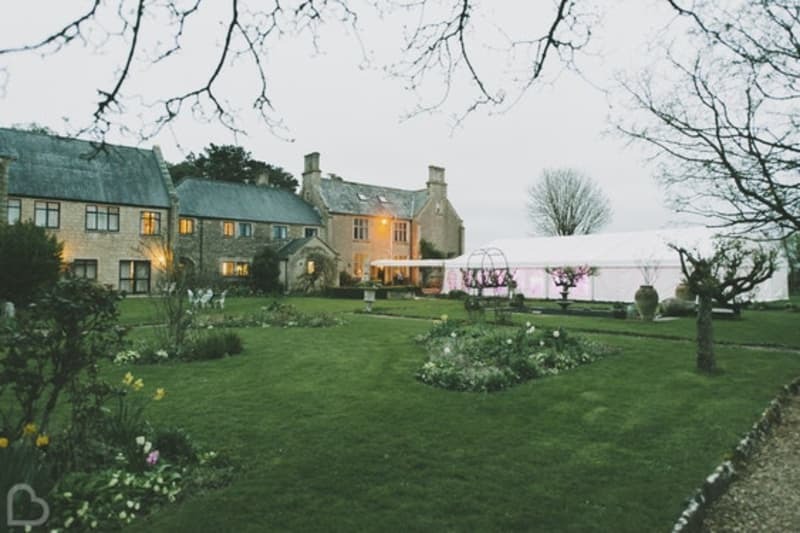 Situated on the border of the Cotswolds, this Wiltshire countryside gem caters for any size of romantic celebration, in whatever way you want to make memories. Last but not by any means least, we present to you the glorious Cote How Lake District Weddings! 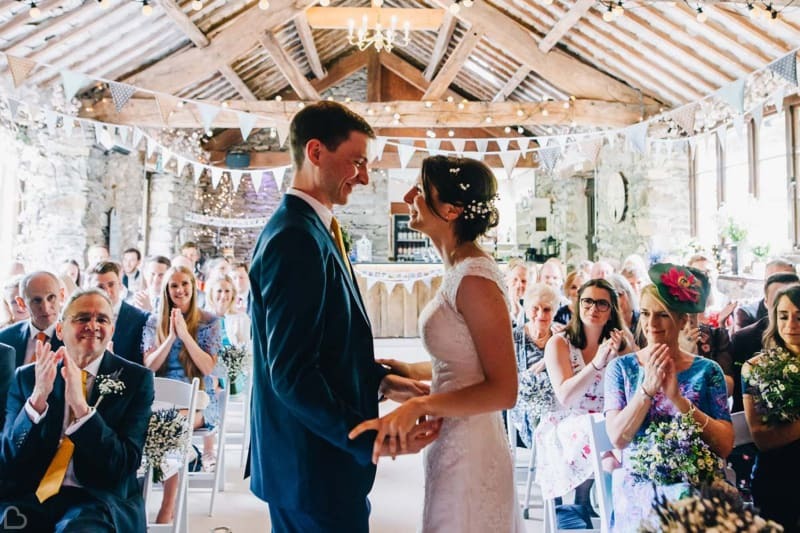 Naturally secluded by woodland and river fell, set amongst the most stunning scenery in the UK, this venue screams romance to every couple that walks through the lush grounds. 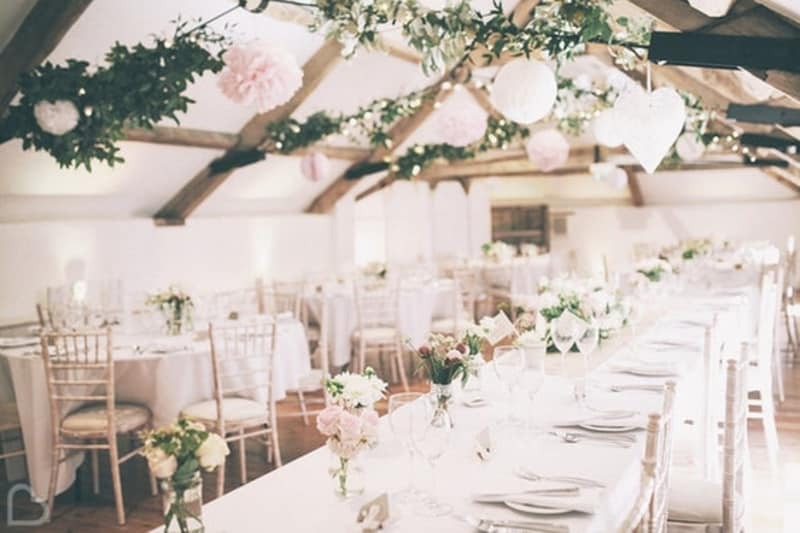 If these romantic settings have inspired you to find your ultimate wedding venue, try a Wedding Venue Search over at Bridebook.co.uk and select ‘romantic’ along with any other filters you fancy! Don’t forget, Bridebook.co.uk have plenty more features for you to use in your wedding planning. Add your guestlist, budget and checklist to your online planner – and throw away those hundreds of dogeared pages that you continue to lose!